In general you can sell the used truck or SUV on your own or giving to a trader. Most of sellers try to sell on their own because they can get more profit than giving it to the traders. They get excess profit because they needn’t give a part of the money to the dealer. If it happens to be your first time to sell used truck or SUV, then this article will help you to sell your truck with higher profit and at the same time, it helps you to gain ideas for selling. Tip 1: Prepare your SUV, how to do this? 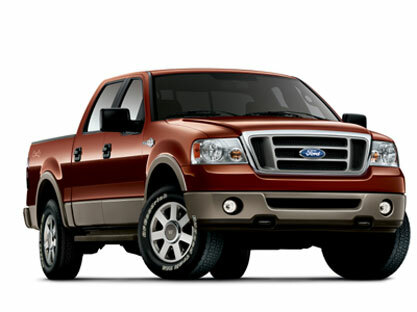 Before you provide the truck or SUV to the market, you must check whether the condition of the SUV or truck is nice. Is it capable of working properly? The next thing to notice is about its appearance. Your SUV or truck must impress the buyer on the first sight. Tidy look of them doesn’t attract the buyer. So clean the car and wax it to give a glow look. At the same time you must clean the interiors of the SUV or truck. Now you have to take photos of your SUV or truck for advertisement. Tip 2: Decide the price for your truck or SUV. For this you go to the following website Kelly blue book. This website provides you a clear idea to fix price for your SUV or truck. Tip 3: Advertisement is the most needed thing. Provide attractive advertisement about your SUV or truck on the local channels. Try to provide news about your SUV or truck in the newspapers. Try to advertise in some of the websites. Be cautious that you spend affordable money for advertising. Tip 4: You must provide the buyer with genuine papers. Don’t prepare fake papers. Ask your personal mechanic to give a report about truck’s condition. Tip 5: Now days we have lot of dealers just sell the SUV or truck to them. They will take care of all the other works. But you can’t expect very good price for your SUV or truck. But it is the quickest way to dispose your used SUV or truck. If all the works are completed, you got the buyer means, don’t forget to transfer all the papers to the buyer’s name. Provide the maintenance receipts to the buyer which will give him a clear idea about the condition of your truck. Ask them to have a test drive to make them satisfy with the truck’s performance. This will finalize their decision.